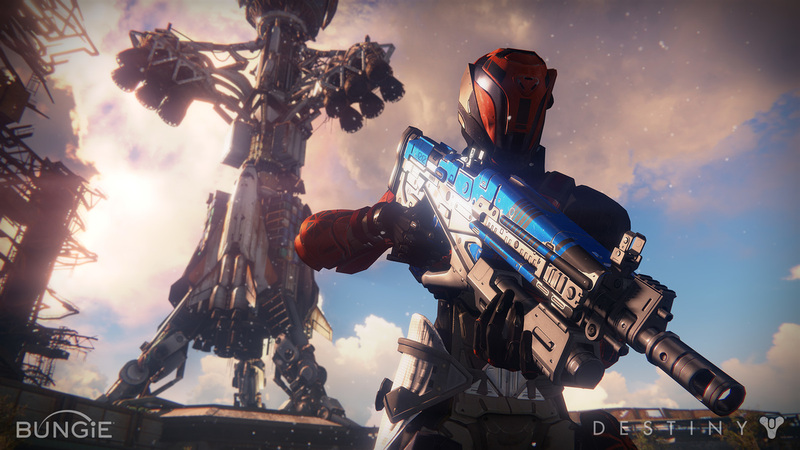 Some things we would like to see make it into Destiny during 2016. New info on Destiny's upcoming Crimson Days and the new Crimson Doubles mode. 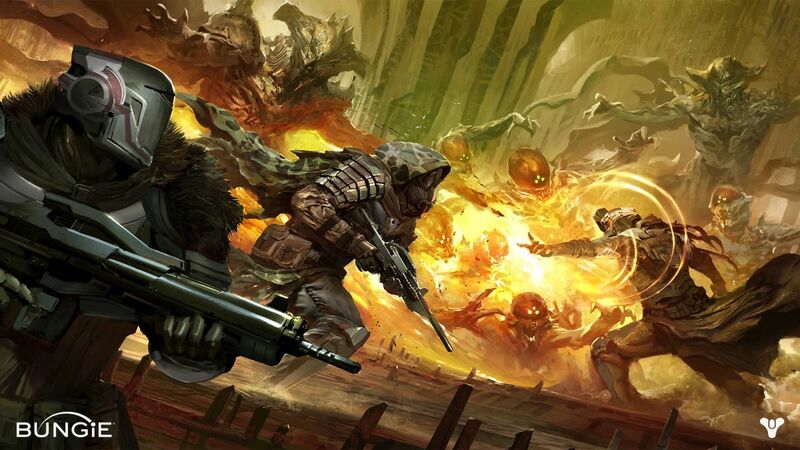 It’s entirely possible that Destiny could very well be the next World of Warcraft. When I say something like that, that is coming from a veteran of online gaming that has started when MUDs were the only literal form of multiplayer online gaming to now and in addition, I’m in no way a Bungie fanboy and I am simply saying that it is possible, not that it is for sure going to happen. However, if I were to guess, I’d say the chances were high that Destiny is going to have the groundswell needed to be the next big thing and a new industry leader. What Does the “Next World of Warcraft” Mean? This question, proposed above, is a very good question with a very good answer. To be the next WoW, you must have a game with MMO and RPG elements, of which Destiny has, in a very similar fashion to Guild Wars. You have an inventory, gear, and persistent areas in the world where you take and accept missions from (like GW or Dungeons and Dragons Online). The game has to be based on previous games in the genre (Halo) and it has to iterate heavily on them. You can’t be the next WoW with some kind of crazy new idea, obviously. Okay so there are a lot of MMOs out there that are on consoles now, but have you ever played them? They’re very awkward. They’re not a great experience. They’re either tech demos shoehorned into a console and called a game or ports of an MMO that just, isn’t, eh controller friendly. Destiny is built from the ground up to be exclusive to the console and not just the term “console” but a console, or well a set of consoles, which are the Playstation 3/4 and the Xbox 360/One. So you’ve got a game molded for two specific yet very similar controller designs on two very similar systems (well platforms). There isn’t any port to a single console and shoehorn it in here and you’re expected to play the game entirely on the couch or bean bag or whatever. So when you sit down on your couch or beanbag or on the floor on-top of your throne of pizza boxes, you’re going to experience something tailored specifically for that, instead of something tailored for something else and brought over. As we all know, there is a huge market for shooters for people sitting on the couch and playing it all afternoon and, Destiny is going to roll in and scoop ‘em up. WoW was in the same position, except for the computer. There were MMOs and they were all good, but they didn’t have that mass-market appeal and the mass-market wasn’t enjoying the MMOs that were out. WoW changed it and made it fun and enjoyable to just plop at the computer and play a game. Destiny is the same, except with your television. In a feedback loop, the output affects the input, so the more pleasurable something is, the more fun you will have, and the more fun you have, the more pleasurable that something becomes. What makes Halo and other shooters so much fun is that the more victories you obtain, the better you do, the better you do the more victories you can obtain. The more fun that you have, the more you will enjoy the game, the more you enjoy the game, the more fun you have. The higher your score, the more fun that you have and the more invested you are in defending your score, the more invested you are in defending your score, the higher your score will be. This has many parallels to World of Warcraft, the more powerful your character is, the more powerful adventures you can embark on, which makes your character more powerful. This is the driving motivator to playing most online games and is a requirement for addiction to set in. A game has to be pretty. Destiny is pretty. I wish I could say more, but graphics is such a hard thing for me to pontificate on, and sort of subjective. I will just simply state that the game qualifies as something that is pretty. Polished. Complete. These are things we associate with Bungie titles, the same we associate with Blizzard titles. To build addiction in a game and for it to be able to stick, you need a lot of parts of your brain to be tickled. The lack of this is why many MMOs fail, because they get tunnel vision and only see the surface level mechanics at work, and not the more obscure things that just make the experience great. For instance, in WoW, you can fulfill so many psychological needs. The need for social interaction, your security needs (the game is a safe environment and you only take on what challenges you accept), esteem needs (wealth, social recognition, accomplishments, etc. ), and personal growth (levels, loot, etc.). Really, even though many don’t subscribe to Maslow’s hierarchy of needs, there is a lot of it persuasive in modern psychology, and a game like WoW just fulfills everything but the physiological (water, air, /pizza). You are satisfied and your life easily supplants into the game, even better than your real life. Your rich, powerful, and a social butterfly even if you’re poor, living with two roommates who can’t run the dishwasher right, and starved for social attention (beyond trying to get people to rinse dishes off). This makes it addictive for a lot of people. Games like Call of Duty and Battlefield and even Halo hit a lot of these sweet spots, but Destiny’s social features and RPG like elements make it even more so. The Tower, the social hub in the game, is what’s going to be the biggest draw for people. It’s a great satisfying experience that leaves you feeling, I guess, complete. A game has to be fun to be viral and Destiny, like Halo, is fun. Now, I can’t review the game here and I can’t make a sweeping statement, but the general the game is fun. Of course it’s fun, it’s a half a billion dollars into development. It has to be fun. It’s going to be fun. Maybe it won’t be the most fun, but WoW isn’t the most fun game out there, it’s just a fun game. I know that’s a bit of word salad but a game has to be fun in order to be addictive and Destiny fits the bill. Versus is sort of overkill, they’re in two distinct genres and Bungie has been dancing around the term MMORPG since conception, making sure not to label Destiny an MMORPG. The major difference, beyond the genres (fantasy action game vs. sci-fi shooter) is that all of Destiny is instanced, as previously mentioned. The similarities is that both games have large sprawling social hubs. The Tower, in my opinion, is going to be the biggest more important aspect of Destiny. The impact of Destiny on the industry could be big, because it would make "Destiny clones" appear and we'd see a huge trend towards consoles - a scary thought for PC gamers, but not that scary, since consoles and PCs have an odd chemistry that could be several books long in discussion, however, I will say that, while I'm not time wizard, I can say that we could definitely see social interaction (the crowning hallmark of MMOs) as a major feature of future games, and that the MMO model of letting people hang out in town together and chill out is totally a thing that every game will need. A big win for social players, and as a consquence, a great boon for MMOs as it further brings the idea of "social gameplay" to the mainstream. By social gameplay, I mean, sitting around and hanging out with folks who aren't engaged in battle. Two games that people love being addicted to are PSO and Monster Hunter and Destiny, with the Tower, is going to secure its place in the same league with them. Guardians in Destiny and guardians in Phantasy Star Universe are sorta similar, one fighting the darkness and the other SEED. I’ve known ever so many people to sit and play PSO all day every day. PSO never has hit mainstream here in the west because it was way before its time and when its time came it hadn’t changed for what the industry wanted. Anyway, point of the matter is, games in which you have a strong social experience (with a social hub and the sorts), prestige items / gear, character building, and adventures all have a chance to be addictive and appease the mass market. As long as the barrier of entry is low, you have incentive to talk with both your friends and strangers, and the gameplay is solid then you’re good to go on becoming the next household name and the bane of parents everywhere that are trying to get their kids to go to sleep on time. With that said, we won’t know until later this year if Destiny is a flash in the pan and, after selling two hundred billion copies, everyone collectively throws it down, or if it becomes something… new, something that grabs the attention of everyone and sticks, much like cheese in a non-non-stick skillet (you’re reading that right, or wrong, depending on your views on how English should be used).